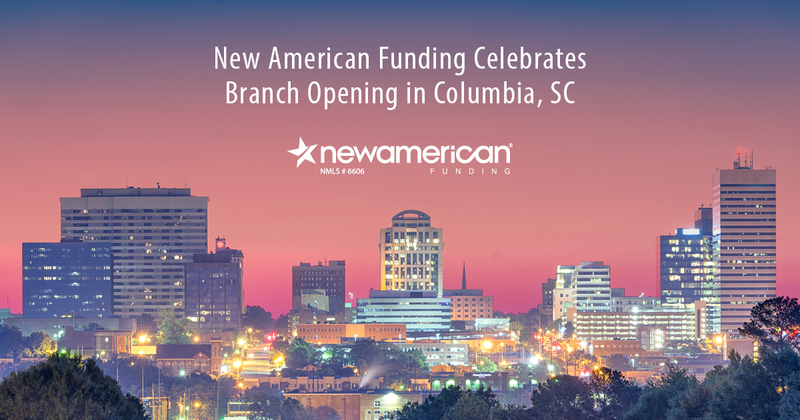 New American Funding, a leader in the mortgage industry, will celebrate the opening of its Columbia, SC branch with a Spring Fling Open House. Along with the Columbia Chamber of Commerce, the branch will mark the occasion with a ribbon-cutting ceremony on Wednesday, March 21, at 6:00 PM EST. Welch, who will lead the market expansion as Branch Manager, is a long-time resident of the area. She brings more than 25 years of mortgage experience to the community and was recently named to the company’s President’s Council for 2017 due to her high production levels. She’s joined by a team of top-producing Loan Officers including Craig Johnson (NMLS #1017610) and Chris Marr (NMLS #212152), who are also both on President’s Council. Johnson has received additional recognition as one of the company’s elite Loan Originators in its Top Gun program.